Celebrating their 25th anniversary this year, CCS Presentation Systems has a long track record of being at the forefront of technology. They offer a full range of audio-visual integration services, including design, installation, training, and maintenance for everything from AV and video displays to projectors and collaboration tools. As a tech company, CCS prioritizes keeping up with the latest tech trends. When the CEO saw an automated reception device at a Google facility, he decided he wanted the same for his company. According to Chief Marketing Officer Julie Solomon, CCS decided on The Receptionist for iPad after considering a number of options. “We liked its look and its capabilities,” Solomon says. She also notes that the iPad format is user-friendly and easy for visitors to grasp. 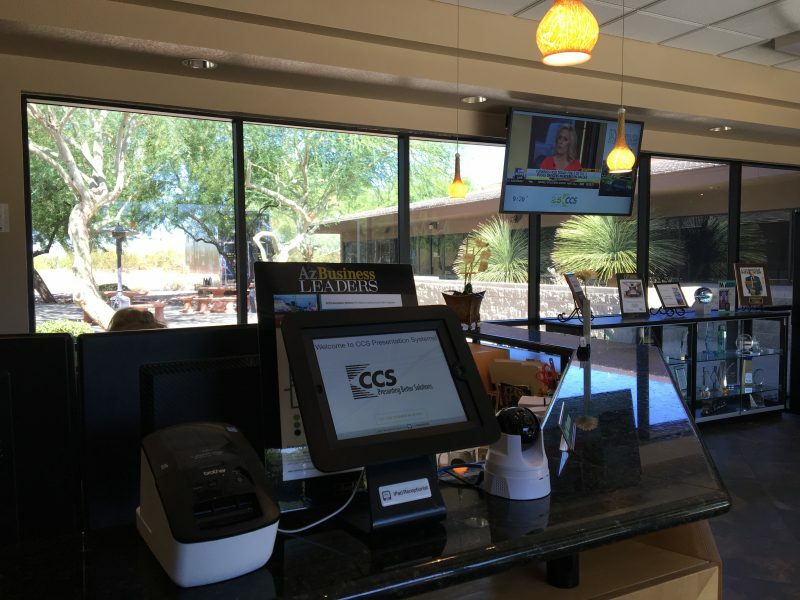 “People automatically understand what they’re supposed to do with it.” Ease of use is important, as CCS gets a lot of foot traffic at its Scottsdale, AZ, headquarters. People come in for training, demos, and meetings. And each visitor needs a badge and to connect with the right staff member. CCS used to have generic visitor badges that just said “Guest.” Now, with The Receptionist for iPad, CCS issues each visitor a badge personalized with their name and photo. 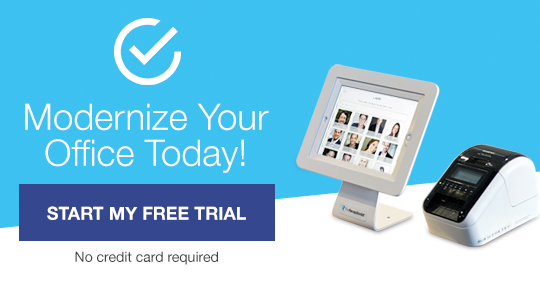 When a visitor signs in, the system immediately sends an email or text notification to the right person. Since all of this is automatic, the CCS team member at the front desk can focus on other responsibilities. “It frees up a lot of her time,” Solomon notes. When asked about CCS’s overall experience with The Receptionist for iPad, Solomon says, “We love it. It’s very intuitive, and everybody’s been very happy with it.” It’s exciting to hear that we’re helping companies be more efficient and enhance their tech-savvy image. Thanks, CCS, for being a member The Receptionist family! One of the largest groups of audio/video integration companies in the country, CCS Presentation Systems provides integration, installation, training and maintenance of audio-video equipment to businesses, schools and government clients. Products include interactive collaboration tools, digital projectors, LCD displays, digital signage, audio systems, room control and more. CCS is the preferred supplier to the Education, Corporate, Government, and Non-Profit markets, boasting more than 350 employees in 13 states, with annual revenue in excess of $115 million.